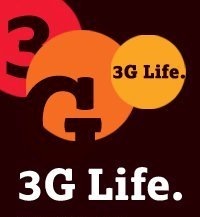 We had earlier reported about Tata DoCoMo’s 3G tariff plans. Now check out the tariffs for some of its 3G VAS offerings. All video calls will be charged at 5 paise per second. Its Mobile TV service is priced at Rs 99 per month. We are not sure at this point of time but we believe that data charges would apply for watching channels. Users can also opt for a pay per view model where they would be charged 5 paise per second. On the entertainment front, users will be able to download videos for Rs 20 and songs starting from Rs 15. Tata DoCoMo also has some gaming content priced from Rs 49 onwards. These entertainment services seem to be at par with current 2.5G tariffs. Then there is an e-mail and social networking service, Catch Up, priced at Rs 30 per month. Then there is live darshan of major temples and shrines at 15 paise per second, video astrology at 10 paise per second, video mail (when someone makes a video call and your number is engaged) at 5 paise per second per retrieval and video SMS at Rs 3 per message (to send and retrieve) and 5 paise per second to retrieve old messages.